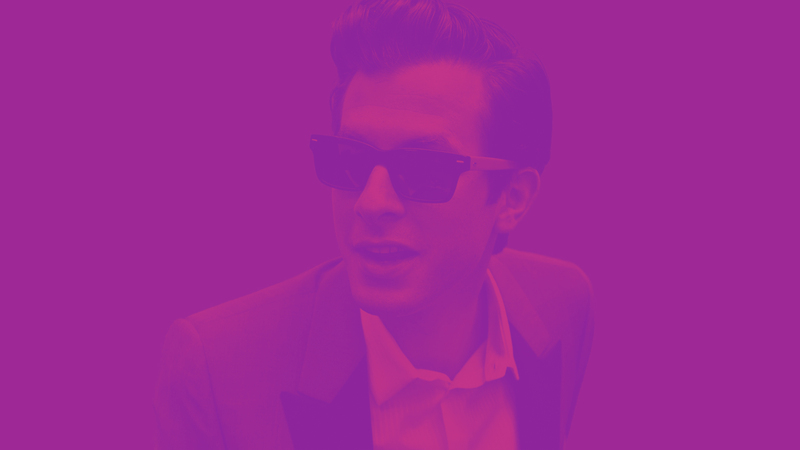 You might know Mark Ronson - super-star producer, musician, DJ, singer and songwriter. 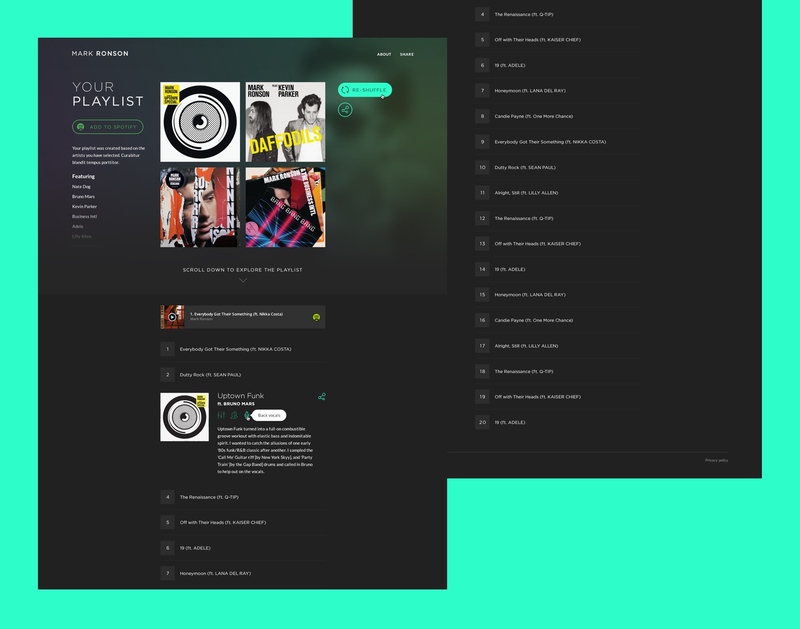 You most definitely have heard a few of his hits as Mark has worked on a lot of massively successful records, including his own, but fans tend to either forget about his involvement or not realise it in the first place. 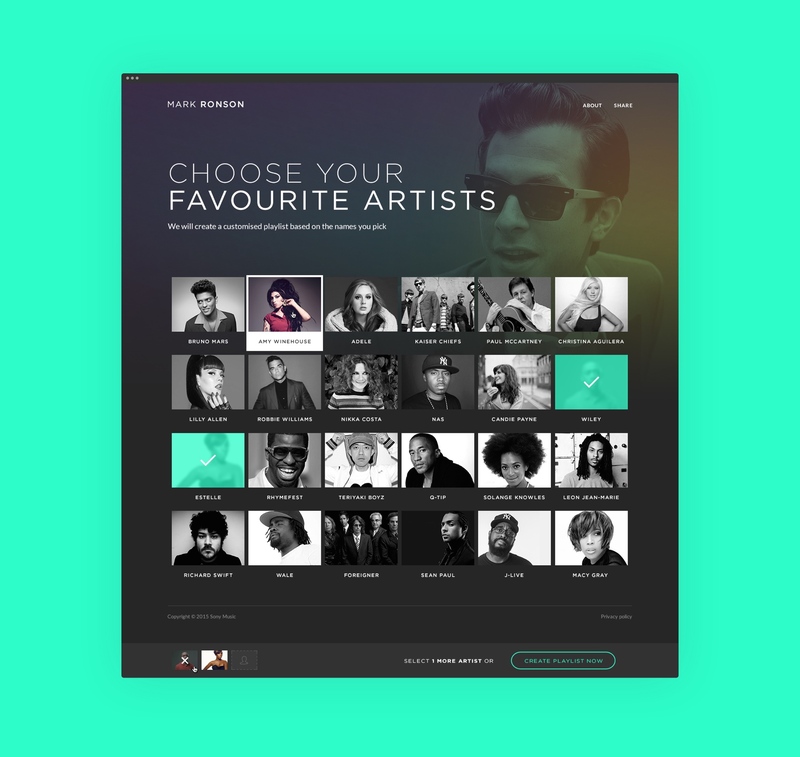 The task was to create a UI where the user would pick up to 3 of their favourite artists (which in fact have worked with Ronson) and get a generated Spotify playlist of Ronson-produced tracks they might like.